Do you ever wonder how you can support your favouire local comic book store (aside getting youself some cool comics time to time)? THIS is one of those opportunities! “Camden Inspire was initiated by Camden Town Unlimited & Euston Town in 2017. We want to shine a light on the local independent businesses whose every day jobs are to offer a unique service, attract new customers, and stand out from the crowd. It’s not easy, but what they do make our towns the special places they are. Please, take just a moment of your time (and your friends too!) 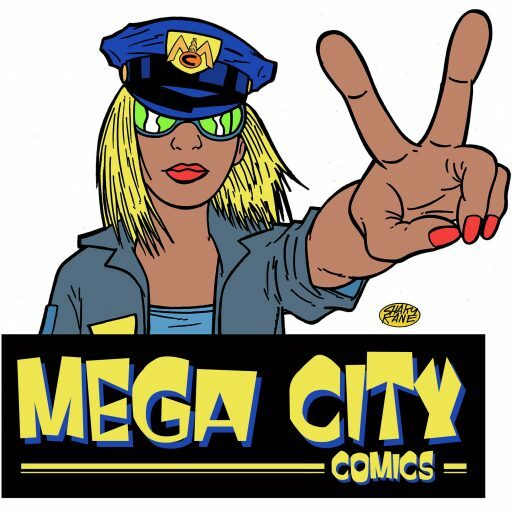 to vote for MEGA CITY COMICS, it only takes a minute and we would love to see how much we mean to you.